The Indonesian Forum for the Environment (WahanaLingkunganHidup Indonesia, WALHI) has been opposing industrial plantations since the 1980s. 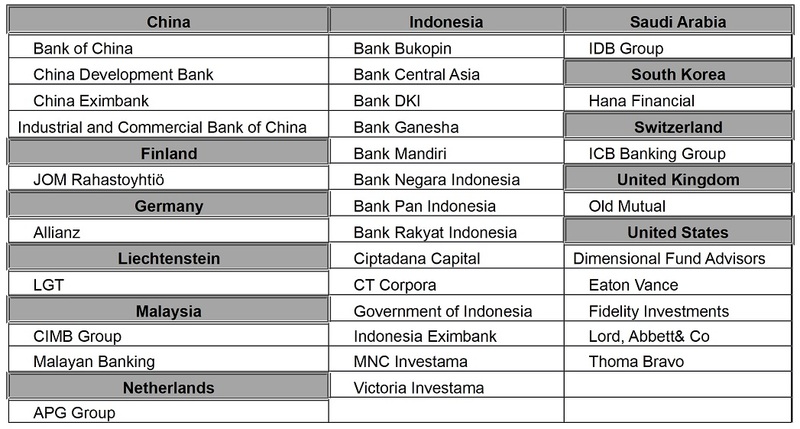 One example is the case of the company PT IntiIndorayon in Porsea, Sumatra, which then changed names to PT Toba Pulp Lestari. WALHI criticized the company’s development of industrial tree plantations which were well-funded and ostensibly supposed to help curb deforestation, but which actually brought disaster upon Indonesia’s forests and their inhabitants—all because of an ambition to dominate the global paper market. The impacts of monoculture plantations may be obscured by policy that classifies them as ‘industrial plantation forests’, or by newer terminology such as “Business Permit for the Use of Forest Products in a Plantation Forest” (IUPPHK-HT, acronyms in Bahasa). Such industrial plantations, however, cannot be called ‘forests’ because they are no different from monoculture plantations. The use of this terminology is meant to create the assumption that an industrial plantation is just like any other forest, but more productive. For WALHI, a plantation is not a forest, because it is created from a monoculture foundation where wood is the only commodity. A true forest, however, is not merely wood; but embraces all the biodiversity and respective roles each organism plays in it. An industrial plantation posing as a forest insults the meaning of a forest itself, which possesses an ecological unity vital for the survival of all living things. In 2014, the people of Sungai CiujungSerang, in Banten, western Java, reported the pollution of the Ciujungriverto the Indonesian Ministry of Environment and Forestry. The pollution was created by PT Indah Kiat Pulp and Paper’s pulp and paper mill (1) (PT IKPP). The company disposed waste products in the Ciujungriver, poisoning it from Kragilan District, near the provincial capital of Serang, down to the river’s mouth on the north coast. 17 villages in five districts were believed to have been affected by the pollution. Local communities were exposed to the consumption of contaminated water, and they saw fish and shrimp populations drop along hundreds of hectares of fishponds connected to the river. Despite these signs, the Serang Regency Government issued a license to dispose of liquid waste to PT IKPP, with an increasing quota. The initial permission to discharge 40,000m3 of polluted water rose to 67,213m3 per month, granted until the 15th of April 2017. Companies such as PT IKPP highlight the trail of corporate destruction hidden behind a sheet of Indonesian paper—a trail which brings harm both upstream, in the forests, and downstream, in the centers of manufacturing. An investigation by WALHI Jambi, WALHI Riau and WALHI South Sumatra revealed that the wood used by PT IKPP for the production of paper came from their three respective provinces. All along the supply chain in the creation of PTIKPP’s paper products, in each of the aforementioned regions, industrial activity created a number of conflicts: agrarian conflicts, violence, criminalization, deforestation and forest fires, corruption, and pollution of the rivers. These events were caused by malpractice of the supplier of the raw materials, and the paper producer PT. IKPP itself—both of these companies fall under the Asia Pulp & Paper Group operating in Indonesia; APP in turn is part of the Sinar Mas group. The exploitation of forests in Indonesia has a history stretching back to the Dutch colonial period. One of the ways that forests have been utilized since Indonesia’s independence has been the development of plantations —. This industry aims at improving the quality and quantity of the supply of wood to the timber and pulp and paper industries, the saw mills and trade industries, and now as biomass for energy generation. Plantations have become one of the main commercial sectors that controls vast tracts of land in Indonesia, making them a force in the monopolization of that land along with the oil palm industry, the logging industry and the mining industry. According to WALHI’s research, until 2014 just four commercial sectors monopolized use on 57 million hectares of a total of 132 million hectares of forested land. Logging concessions made up 25 million hectares; oil palm concessions made up 12.35 million hectares; and mining concessions made up 3.2 million hectares of forested areas. Plantations in 2001 controlled 5,04 million hectares of land, before rising to 5,73 million hectares in 2005, and finally to 10,89million hectares in 2017. The largest share of this land was controlled by APP-Sinar Mas Group and Asia Pacific Resources International, APRIL. The bitter irony is that the increase in corporate control of land covered by these plantations does not correlate with an increase of PerhutananSosial (social forestry) programs or Tanah ObyekReformaAgraria (land for agrarian reform, TORA), which in 2017 covered 1,3 million hectares. 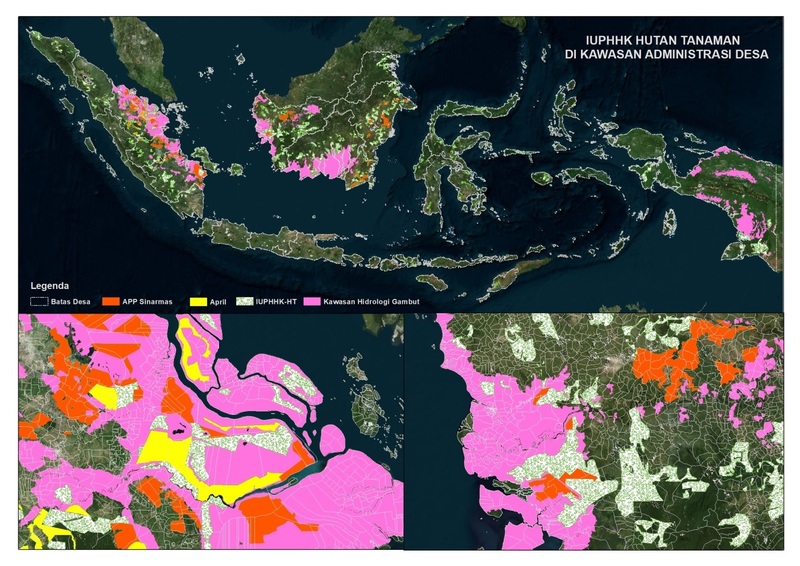 Land allocation to these programs fell far short of the policy targets of 12,7 million hectares for PerhutananSosial and 9 million hectares for TORA. The business monopoly of the plantations industry along the supply chain from the plantations to the product is supported by the global supply chains for pulp and paper and lavish state subsidies. The government even encourages companies to switch to plantation forestry by offering 0% interest on loans. And so the tycoons come in droves to loot natural forests and protected areas. The existence of plantations cannot be separated from conflict. From spacial analyses, research shows that 4,175 villages are in land conflict with companies that received a plantation concession license. Concessions owned by APP–Sinar Mas Group intersect with 668 villages, and concessions owned by APRIL intersect with 114 villages. These facts serve to show that tenure conflict is inevitable, because plantation concessions overlap with settlements and areas in the hand of the public. Conflicts largely flare up because of a lack of Free Prior Informed Consent (FPIC). The more concessions are granted to set up monoculture tree plantations, the more that peat swamp forests come under threat. Government regulation 52/2016 concerning the protection and management of peatlands forbids activity leading to the destruction of peatland hydrology. Regardless, many plantation corporations are continuing to dry out peat swamps. 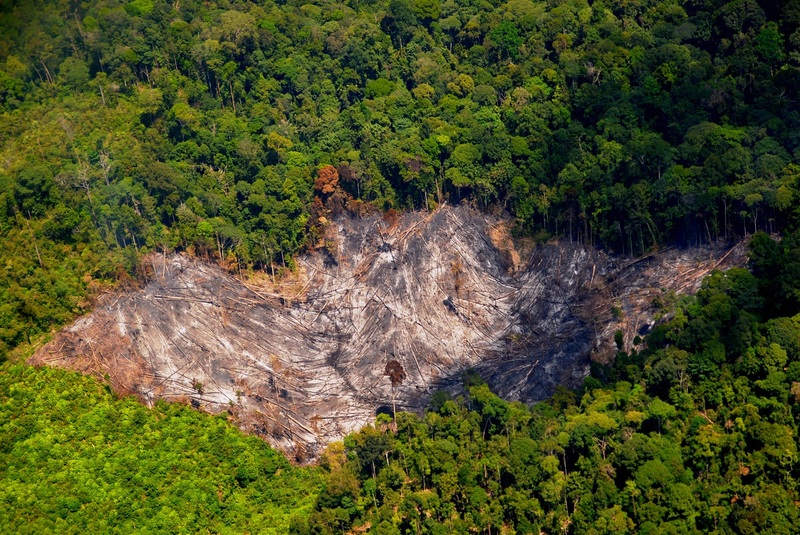 The destruction of the peat swamp ecosystem eventually causes and increases the risk of forest fires. Based on reports from the GerakanNasionalPenyelamatanSumberDayaAlam (national movement to save natural resources, GNPSDA), the Corruption Eradication Commision and the Ministry of Environment and Forestry, in 2015, the 41 plantation forestry companies present in West Kalimantan together controlled an area of 1,9 million hectares, of which more than 300,000 hectares were in peat swamp forest. A similar situation was found in Riau: from a total of 1,147,331 ha of timber plantations concessions in peatland, 803,708 ha owned by companies affiliated with APP were in peat swamp forest. In August 2018, Kalimantan again fell victim to massive forest fires (2,423 hotspots were recorded between the 1st of January and the 25th of August 2018). The city of Pontianak, the provincial capital of West Kalimantan, even had to close schools due to thick smog. This map and table show how many fires were in the concessions of these companies. Of all the plantations companies, their plantations had almost half the fires. After the massive fires of 2015, the government established a number of policies to protect peat swamps; however, these policies were accompanied by contradictory policies (3), which actually facilitated the transfer of land to tree plantation companies as a means of replacing land under their control which had been burned. The policy to grant replacement areas of land to companies that break the law is a blatant attempt at whitewashing by the government. Rather than offering landswaps to a company, the company should be held responsible for allowing fires to rage in their existing concessions. The policy of landswapping gifts provides impunity to corporate crime. The destruction of natural areas does not only occur in regions producing wood products, but also happens in other essential ecosystems, such as karst ecosystems. The results of research by WALHI Sumatera Barat in 2017 showed that the lime powder used in the paper industry comes from companies that mine in karst areas. For example: PT. Bakapindo, which operates in Bukit KatuahPutiah, in the Agam Sumatera Barat Regency. Records show that every month, 7,000 tons of lime powder are supplied to PT. IKPP and 8,000 tons are supplied to RAPP, an APRIL subsidiary. This activity destroys the karst ecosystem, which possesses ecological, social, cultural and economic significance for the local population. The mining of karst also contributes to air pollution, and increases the risk of natural disasters. The chaotic management of natural resources, especially in the forestry sector, has given birth to issues including but not limited to deforestation, forest fires and tenure conflicts. The need for a moratorium based on measured indicators again becomes hugely important. Such a moratorium should pause the granting of permits for at least 25 years, not least to provide time for licensing reviews to be carried out, punitive measures taken against corporate crime, public land be returned and protected, and ecosystems ruined by land-based industries such as industrial plantation companies may be given time to recover. 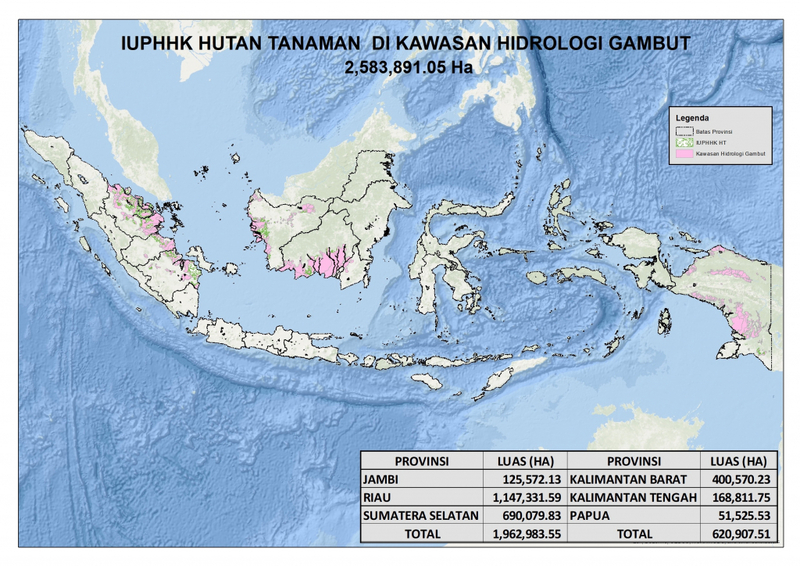 (2) Information obtained from Basis Data GeospasialKehutanan 2011 – 2016. (3) Such as policy No. P. 40/MENLHK/SETJEN/KUM. 1/6/2017.